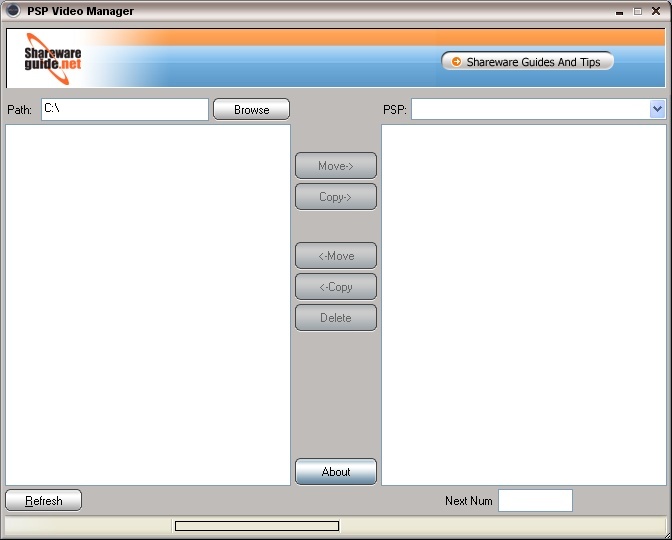 PSP Video Manager 1.1.13.419 is a PSP Video file manager freeware developed specially for PSP owners by Sharewareguide.net, which can transfer PSP video files between your PSP and computer with ease and is very popular with the PSP owners. 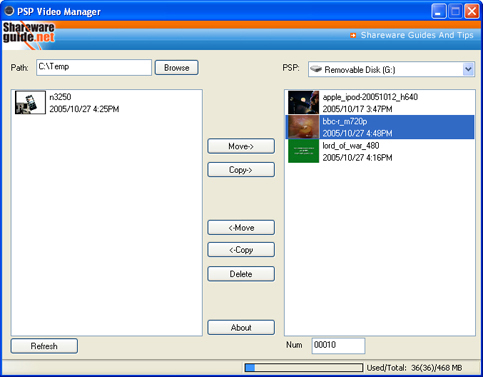 PSP Video Manager 1.1.13.419 is a PSP Video file manager freeware developed specially for PSP owners by Sharewareguide.net, which can transfer PSP video files between your PSP and computer with ease and is very popular with the PSP owners. PSP Video Manager helps you easily import PSP MPEG4 files to your PSP. At the same time, the freeware also allows you to export PSP MPEG4 files located in your PSP to your computer. While transferring PSP video files, you can copy or move the video files to decide whether or not keep the original files. The whole process is easy. You don't need to manually rename PSP MPEG4 files to play in Sony PSP, and just a click can do it with PSP Video Manager.